By Steve Vertlieb: William Shatner, the iconic actor who first sailed the Star Ship Enterprise through three intergalactic seasons on NBC Television beginning September 8th, 1966, and starred in six Star Trek feature-length motion pictures, turned eighty-six years young recently. He was the valiant inspiration for millions of young boys and men for decades of thrilling cinematic heroism. I conducted, perhaps, the very first “fan” interview with William Shatner ever published during July, 1969, whilst the series was still being aired over NBC in its final re-runs, for the British magazine, L’Incroyable Cinema. He was both delightfully witty, and warm, sharing a memorable hour of his valuable time with us. 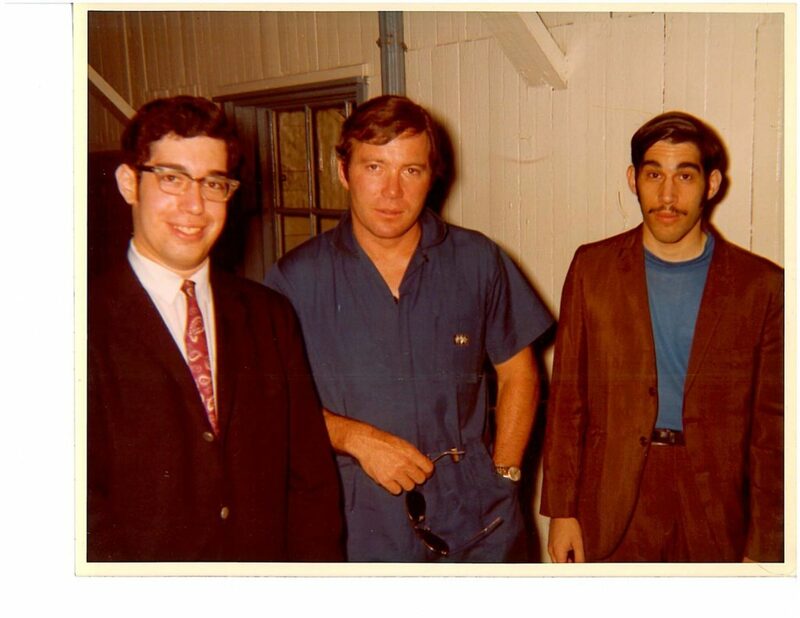 Here are Erwin and I together with Captain James Tiberius Kirk outside his dressing room at The Playhouse In The Park where he was starring in a local Philadelphia Summer Stock production of “There’s A Girl In My Soup,” with Exodus star Jill Hayworth. 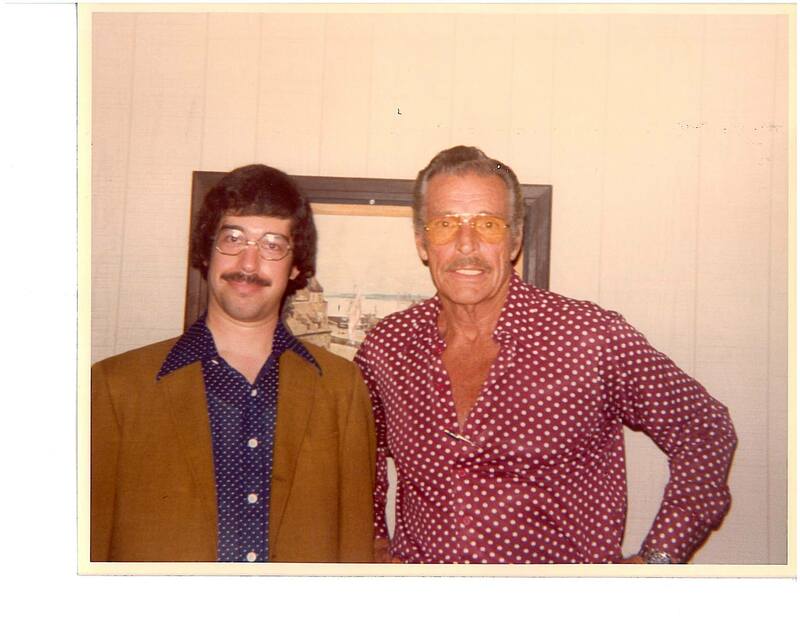 Together with boyhood hero and cherished friend, Buster Crabbe, here in Philadelphia in 1979. On this particular occasion, Buster and I had dinner together in “Chinatown.” Although Jack Nicholson was nowhere to be found, Buster playfully emptied the remains of some his dinner into my plate, insisting that I “Eat, Eat, Eat.” My Jewish mother would have been proud. Buster, along with Ed Kemmer and William Boyd, was among my earliest childhood heroes. Buster and I were good friends over the last two decades of his life, and I remain honored to think of myself as one of Flash Gordon’s pals. Knowing him personally was a thrill beyond imagining. My affectionate remembrance of Larry “Buster” Crabbe, and “Fantastic” children’s television during the 1950’s, has been nominated as “Best Blog of the Year” under the heading of Better Days, Benner Nights in the annual Rondo Awards. Steve Vertlieb and Buster Crabbe. Together with one of my earliest boyhood heroes and role models, Ed Kemmer, who starred as Commander Buzz Corey of the “Space Patrol”, broadcast every Saturday morning on ABC Television in the mid 1950’s. He also co-starred with William Shatner in “Nightmare At 20,000 Feet,” the original classic episode of The Twilight Zone written by Richard Matheson. 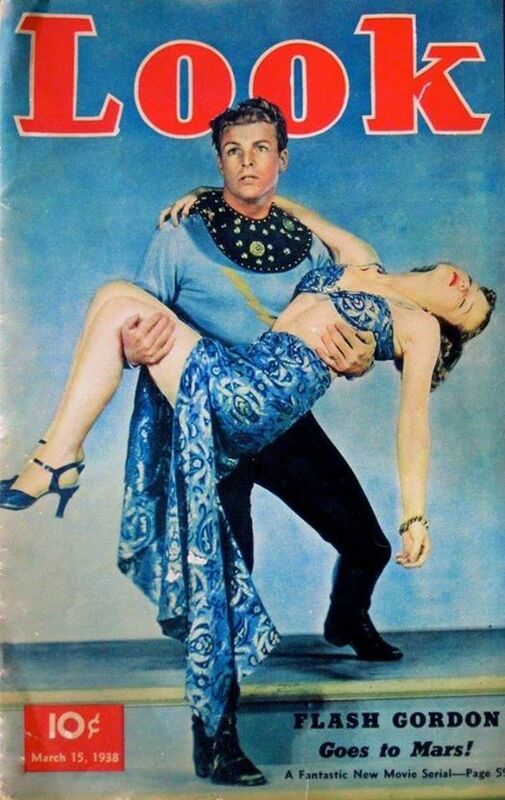 Shatner’s own Star Trek series was heavily influenced by Ed’s Space Patrol, as well as MGM’s Forbidden Planet. After this initial meeting, Ed and I remained friends through correspondence until his passing. He loved Sinatra, and so I’d periodically record tapes of Francis Albert for him, and send them to his apartment in New York. Ed remained conspicuously among the few stars refusing to accept compensation for posing for pictures or signing autographs. He felt that charging money for his image would be a betrayal of the millions of children who made him so popular during the nineteen fifties. He was not only a tv hero, but a real hero, as well. During the second world war, Ed was a pilot who had been shot down behind enemy lines and imprisoned as a POW. He was quite a remarkable human being, both on screen and off. 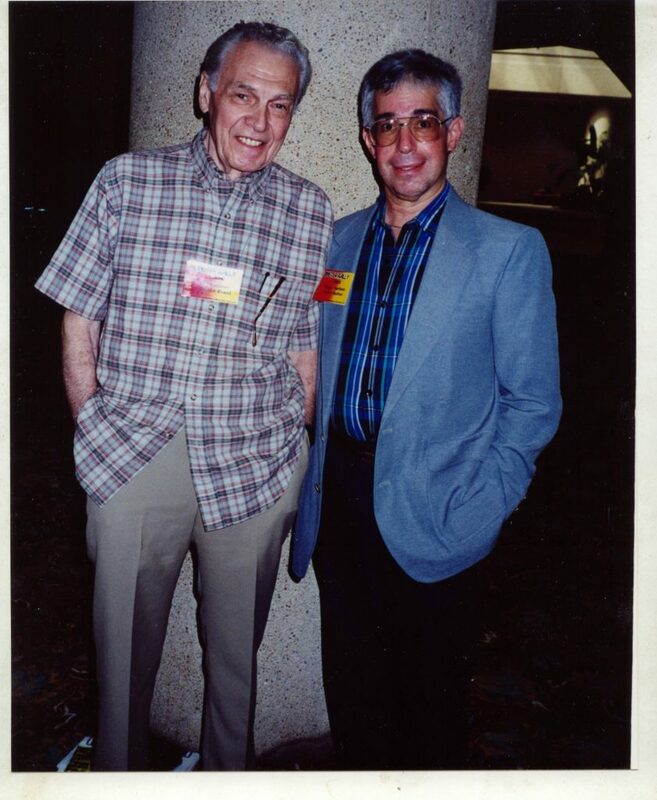 Steve Vertlieb with Ed Kemmer, who played Cmdr. Buzz Corey in Space Patrol. By James H. Burns: If you’re the right age, there’s something absolutely magical about seeing Buster Crabbe in this airline commercial featuring FLASH GORDON, from somewhere between 1973 ~1975. This was clearly meant as a national spot, but no one I know ever saw it! It’s also amazing to realize that Crabbe is wearing the costume from the Captain Marvel serial! Buster Crabbe also appeared in a spot endorsing Rainier Beer – “Fresh Gordon” in 1978.